A gorgeous heavy weight 8oz cotton canvas tote bag. 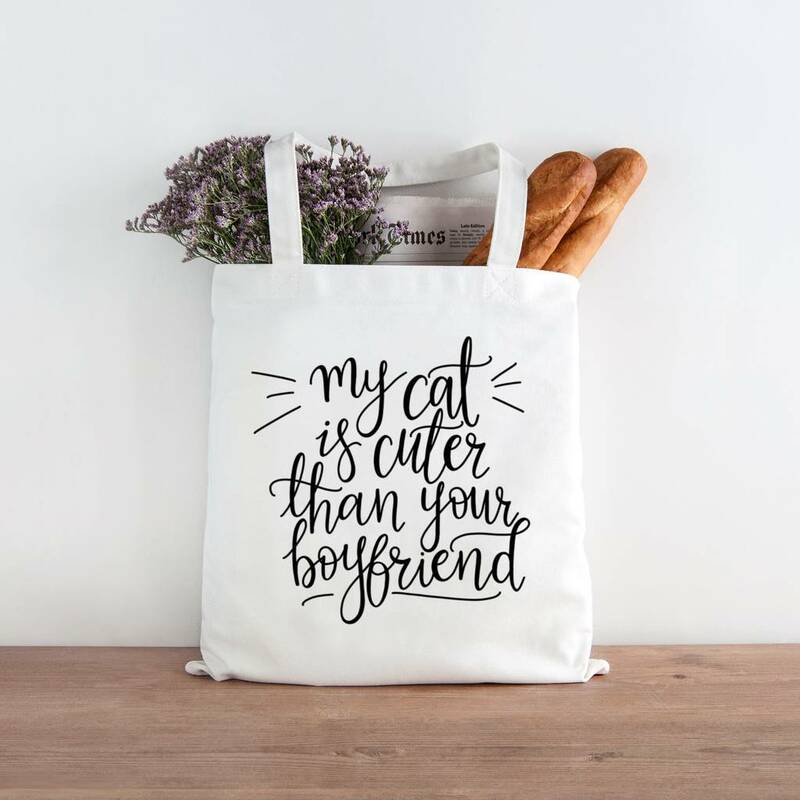 'My Cat is cuter than your boyfriend' long handled tote bag is made from a beautiful heavy weight 8oz white cotton canvas and printed with black vinyl. 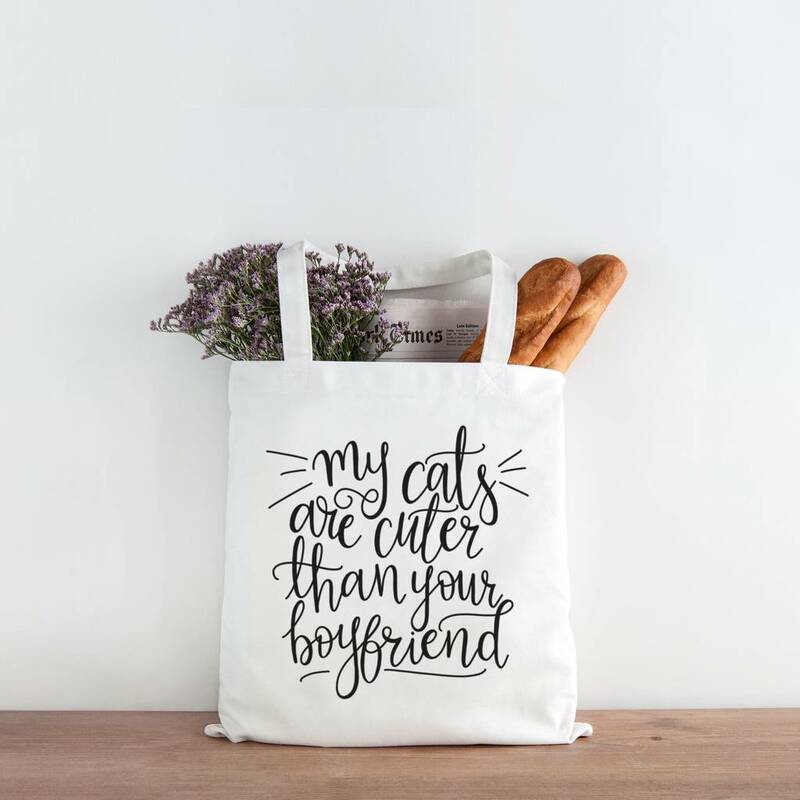 The absolute perfect gift for all Cat loving friends and family! The design has been lovingly hand lettered by Hope and Halcyon and is exclusive to notonthehighstreet.com. This design is also available in a quality ceramic mug and matching high gloss coaster. The design is printed on one side of the bag with the option of double sided print. Made from strong 8oz white cotton canvas.